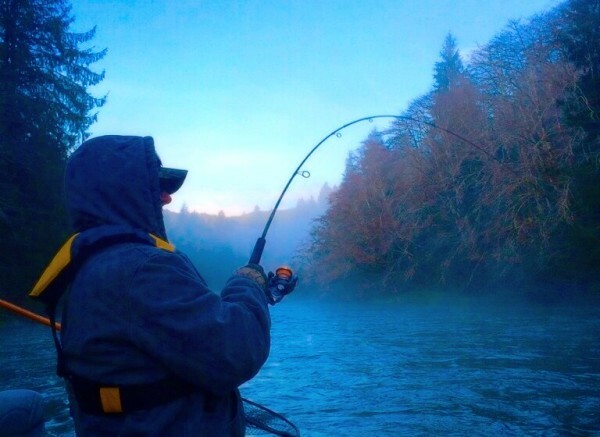 Greg specializes in fishing for salmon and steelhead on Oregon's central coast and southern Willamette Valley Rivers. Greg has a passion for fishing that goes way beyond just catching fish, he truly loves teaching people how to become better anglers and is willing to take the extra time to share this passion with his clients. Greg strives to provide his clients with the most professional guide service and memorable day on the water. Using only the best equipment, from the rods and reels his clients use, to the boat he rows, you will be in for a safe, comfortable, and energetic day of fishing! You will be fishing in comfort in the new 2017, 18 ft. Clackamax drift boat built by Clackacraft. This boat has endless options for clients to arrange seats to suit their fishing needs. Seats in the "MAX" can be easily moved around within the boat which has enough room to comfortably fish 3 anglers, whether it be side drifting, float fishing, or back bouncing. The 2017 Clackamax has higher sides, upgraded seats, and a new rear seating option that's perfect for side drifting and bobber dogging with a third angler. 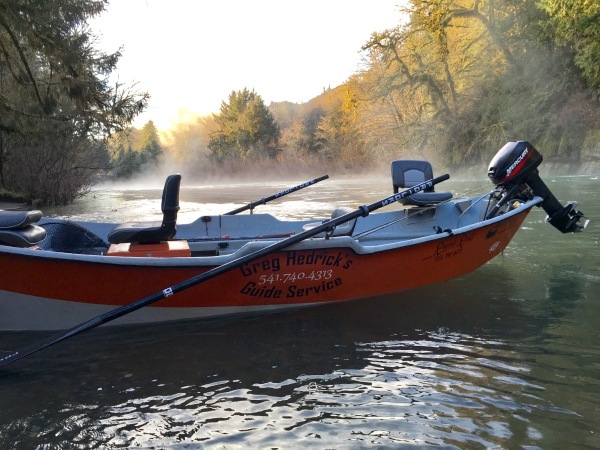 With the new boat, Greg also added dual heaters and the new Pro-Loks rowing system, complete with the Pro-Loks carbon fiber blades and Original Graphite oar shafts. These are by far the lightest oar shafts and blades on the market today and coupled with the most innovative rowing system in the world. *Check out Clackacraft drift boats online for more information! Greg strives to provide his clients with the most advanced rods, reels, and tackle on the market. He's constantly trying out new products in order to provide his clients with the best chance to hook into these elusive fish. Lots of time is put into locating these fish, and using the best gear available is a must to successfully hook, and more importantly, land these fish on a daily basis. 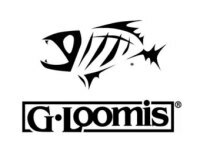 Greg uses top of the line G. Loomis fishing rods for all of his fisheries. These high qulaity rods help transfer every subtle tick along the bottom into your hand so you'll be able to feel a fish breathe on your bait or lure! From float fishing, to side drifting & bobber dogging, to pulling plugs, and diver and bait, all of these rods are designed for a specific fishing technique to help aid in your success on the water. Depending on the fishing technique, these rods have been paired with Daiwa Ballistic spinning reels and Daiwa Lexa casting reels, as well as the new Lexa line counters for pulling plugs, trolling, and diver and bait applications.